Spending the evening with Crystal and Greg was like hanging out with old friends. 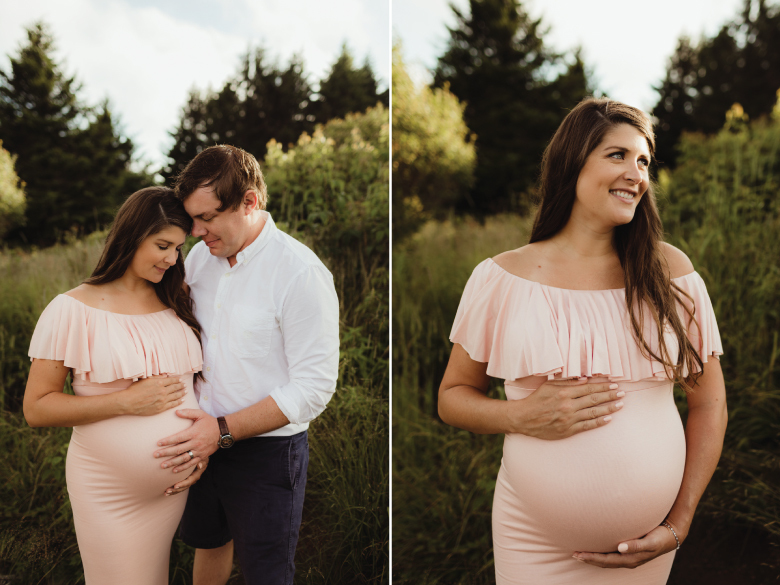 Even though we met for the first time the evening of Crystal's maternity session in Pisgah National Forest, by the end of our hike I felt like I'd always known these two. A last minute thought just as I was leaving my house before the maternity session, I grabbed a piece of lace which had belonged to my grandmother. I had a vision of Crystal holding it wrapped around her baby bump on top of the mountain. I positioned Crystal in the perfect spot and turned to get set up for the shot. When I turned back around, a cloud had rolled through and Crystal looked like she was glowing through! The weather can change in the mountains so quickly, and this moment in the cloud made for a beautiful capture. I wish the best of luck to Crystal and Greg on their new adventure with their first little girl!